A group of around 40 conservative Republican representatives, known as the Freedom Caucus, have placed their faith in a conservative Speaker of the House candidate that they say will upend the status quo. Daniel Webster joins Utah Rep. Jason Chaffetz and House Majority Leader Kevin McCarthy as possible candidates to succeed House Speaker John Boehner, who is retiring. With multiple candidates and a closed-door vote fast approaching on Thursday, it's anyone's guess who will nab the nomination. The Freedom Caucus believes they can succeed with Webster and have been incredibly vocal in their support. So, who is Florida Rep. Daniel Webster? When I was speaker of the Florida House of Representatives, this is what we did: we ended all meetings at 6 o'clock. We took up the most important issues first. We never bumped against a deadline. We finished on time. And the people and members cheered. ... As speaker of the house, I would commit to serving you by promoting principle over power, by making you successful, by telling you the truth, and by earning the right to be heard, not demanding it. 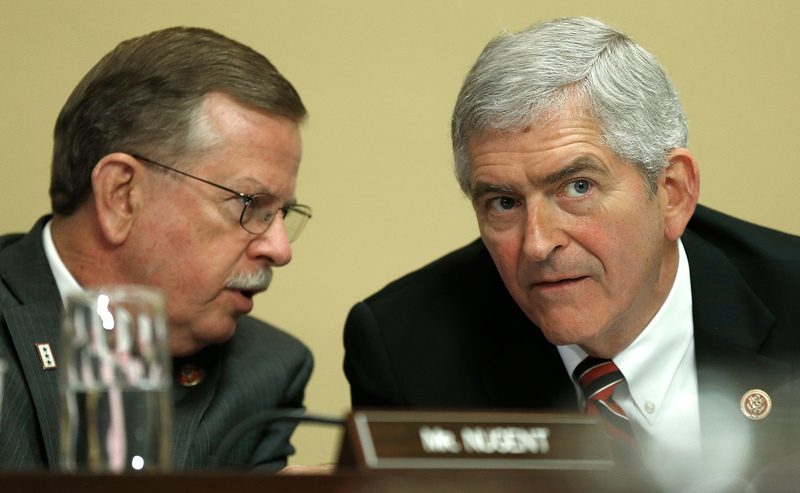 In his current position as a Florida congressman, Webster serves on multiple committees dealing with transportation infrastructure as well as the environment, including the Subcommittee on Highways and Transit and the Subcommittee on Water Resources and Environment. A majority of the bills that Webster has sponsored directly reflect those subcommittees, including HR 4925, which allocates funds for rural infrastructure problems. Also known as the TIFIA 2.0 Act, the bill was introduced in June last year and was referred back to Webster's own subcommittee just three days later. Over the course of his three terms, Webster has yet to pass a single bill he's introduced and has only directly sponsored six pieces of legislation. According to InsideGov, this makes him the eighth least effective Rep currently serving. It is clear that our constituents will simply not accept a continuation of the status quo, and that the viability of the Republican Party depends on whether we start listening to our voters and fighting to keep our promises. We accordingly believe that, under the present circumstances and without significant changes to Conference leadership and process, Rep. Daniel Webster would be best equipped to earn back the trust of the American people as Speaker of the House. Republican representatives will vote on Thursday to decide who will be their nominee for Speaker of the House. A final vote on the House of Representatives floor is scheduled for Oct. 29. House Democrats are all expected to vote for current Minority Leader Nancy Pelosi. Whichever candidate is nominated on the Republican side would require 218 of the House's 247 GOP members to vote for them in order to secure the Speaker of the House position — which is why this group of 40 members' support for Webster is all the more important.